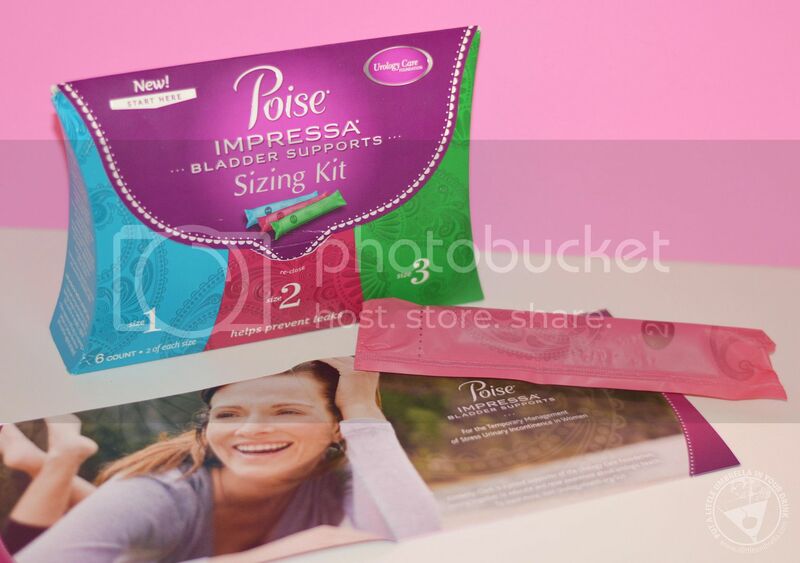 If you suffer from Stress Urinary Incontinence, Poise Impressa Bladder Supports can help. They do not absorb leaks - they help prevent them. 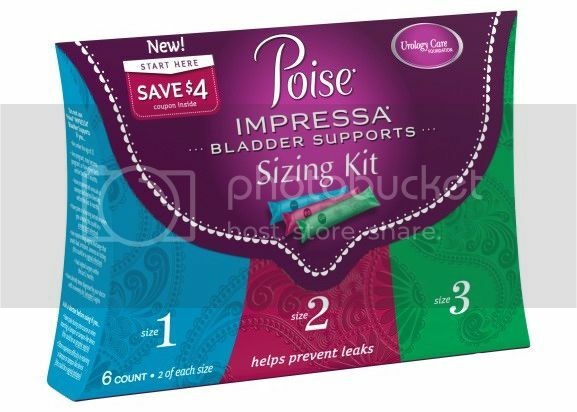 Stopping leaks starts with the Poise Impressa Sizing Kit. It is available now at most Rite Aid stores and at RiteAid.com with FREE SHIPPING for the rest of 2015! Why do you need the sizing kit? Impressa comes in three different sizes, and the Sizing Kit helps you find your most effective and comfortable internal fit. Poise Impressa Bladder Supports sizes are based on their internal fit, not the amount you leak or your weight. Each kit includes six bladder supports (two of each size), along with a $4 coupon toward a 10-count Single-Size Pack of Impressa. Yes it does look like a tampon. But it's not. Impressa Bladder Supports are inserted and removed the same way as a tampon, but work very differently. Remember, Impressa does not absorb leaks - it helps stop them from happening. They provide up to 8 hours of leak prevention. Designed for comfort, Impressa Bladder Supports are made of soft, flexible silicone enclosed in a non-absorbent covering. You can use the bathroom normally while inserted. To discard it, simply throw it in the trash. 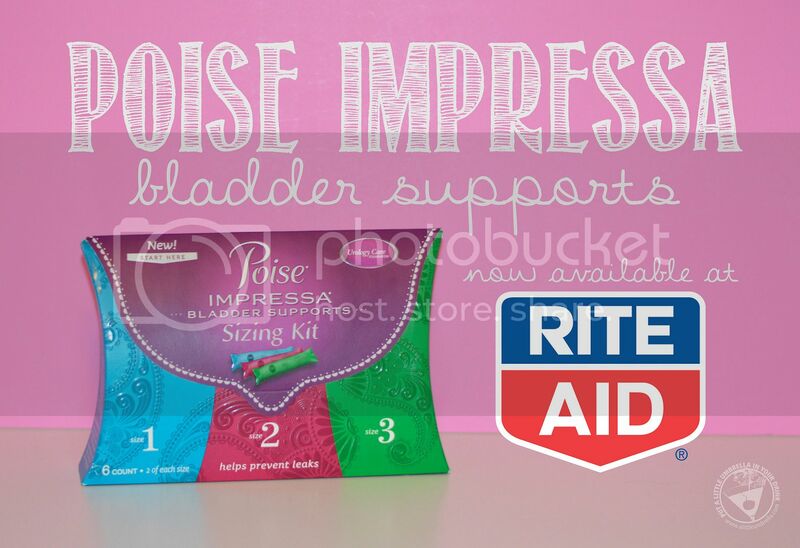 Poise Impressa Bladder Supports are available over the counter at Rite Aid and RiteAid.com. They are FDA-cleared and gynecologist-tested. For more information, visit RiteAid.com/Impressa or Poise.com/Impressa.